Affiliate Programs for Homeschool and Education Bloggers - What's up Blogging? Want to monetize your website? Here’s an awesome list of affiliate programs for education bloggers! If you write about education, preschool, or homeschool, or write about teaching in a public, private, or charter school, there are so many amazing affiliate programs out there for you promote in order to monetize your site! The most popular affiliate program is always Amazon Associates (assuming your state allows you to participate in it) as it is so easy to link to any product on Amazon and enjoy great conversion rates generally. Check out how to get started with Amazon Affiliates if you aren’t already on there. However, sometimes Amazon doesn’t have the services or products you’d like to promote on your site. That’s where this list comes in! I categorized the affiliate programs to make it easier for you to find the programs that are a great fit for you, your blog, and your audience. Not all programs will work stellar for you. I am not encouraging you to join all of these programs. That’s nuts. Focus instead on products you use first, then products that would work naturally with the content you already have or will produce in the future. 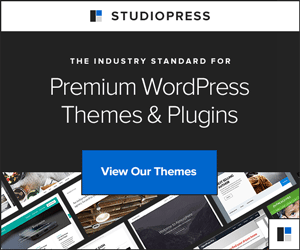 Some of the affiliate programs are run by individual bloggers or companies while other are managed by affiliate networks like CJ, ShareASale, and Impact Radius. I list the current affiliate commission rates and the cookie-length. A “cookie” is simply how long you have after someone clicks a referring link to make a purchase or action for you to make a profit. Please note that all rates and cookies are subject to change at any time, as are programs able to close or change. Always read their terms carefully and promote according to their policies. Also, higher rates are available for several of the CJ affiliates listed below if you become CJ Content Certified (find out more and apply here and put in referral code 4098150). There is a lot of early education and early elementary school blogs and these programs could be a great addition for you! God’s Little Explorers Preschool Curriculum by Stacie Nelson of Motherhood on a Dime. Retail $17.00. 30% Commission. Sign up here. The Preschool Journey curriculum by Angela Thayer of Teaching Mama (and other products). Retails $6.99. 40% Commission. Sign up Here. The Encompass Preschool Curriculum by Kathy Gossen of Cornerstone Confessions. Retails $10.00. 40% Commissions. Sign up here. Blue Manor Education Books and Curriculum by Janine LaTulippe. PreK-1st Grade. 30-40% Commissions. Sign up here. Reading Eggs. 10% Commissions. Join via CJ or Ebay Enterprise networks. ABCMouse.com Early Learning Academy. PreK through Kindergarten. $4 for each FREE first month’s signup. Join on CJ or LinkShare or FlexOffers. 123 Homeschool 4 Me products by Beth Gorden. 20% Commissions. Sign up here. Letters and Numbers workbook – 50% email sleepingshouldbeeasy@gmail.com to sign up. Basic Shapes for Beginners ebook by Heather Greutman. Retails $8.99. 25% Commissions. Sign up here. Mama’s Learning Corner Products. Retails $1-$8. 50% Commissions. Sign up here. Montessori Services. 10% commissions. 30-day cookie. Join on ShareASale. We Choose Virtues. 10% Commissions. 90 Day Cookie. Sign up HERE. Read, Create, & Share ebook by Growing Book by Book. 40% commissions. Sign up here. If you write for the grade school aged child in school or homeschool, these are some great affiliate programs for you! Real Science 4 Kids. 20% commissions on all products. Sign up here. Ultimate Brain Breaks by Heather Haupt. Retails $7.99 (ebook) or $14.99 (print). 25% Commissions. Sign up here. Classical Copywork Resources by Amy Maze. 25% Commissions. Sign up here. Weekly Homeschool Planner by Jolanthe Erb of Homeschool Creations. Retails $20. 25% Commissions. Sign up here. Homeschooling with Dyslexia. 20% Commissions. Sign up here. Chalk Pastel Drawing ebooks by of Southern HodgePodge. Retails $4.99-$24.99. 25% Commissions. Sign up here. Bright Ideas Press Products. Sign up here. Hands-on Learning by Susan Evans. 50% Commissions. Sign up here. Mixed Media Art Courses for Kids ecourse by Alisha Gratehouse. 30% commissions. Sign up here. Science Logic Curriculum by Eva Varga. Retails $2.95-$19.90. 30% Commissions. Sign up here. Math Games & Resources, Geography Field Guide, and more from Crystal Wagner of Triumphant Learning. 25% Commissions. Sign up here. All about Learning Press Resources: All About Reading and All About Spelling. 15% Commissions. Sign up here. NaturExplorers Studies by Cindy West of Shining Dawn Books. 25% Commissions. Sign up here. Harrington Harmonies Products. 25% Commissions. Sign up here. SQUILT: Music Appreciation Made Simple by Mary Prather. 25% Commissions. Sign up here. Hymn Study Pack, Reading Journals, and Christian Studies from Not Consumed. Sign up here. STEAM Kids ebooks. Hands-on activities for kids. 50% commissions. Sign up here. Write Shop Writing Curriculum. 15% commissions. 180-day cookie. Sign up here. If you write about homeschooling, or teaching children at home, look into these books and products to promote on your education website. Circle Time: Plan the Best Part of Your Day by Kendra Fletcher. Retails $4.99. 30% Commissions. Sign up here. Preschoolers and Peace: Homeschooling older kids with success while loving the little ones at your feet ebook by Kendra Fletcher. $2.99. 30% Commissions. Sign up here. Plan Your Year ($14.98) and Latin Printables ($2.99-$6.99) by Ed Snap Shots. 30% Commissions. Sign up here. Single Mom Homeschooling ebook, Homeschool Checklists and more from Not Consumed Homeschooling resources. Sign up here. Help! I’m Homeschooling! 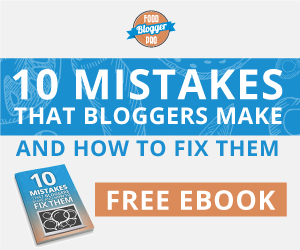 ebook by Tricia Hodges of Southern HodgePodge. Retails $4.99. 25% Commissions. Sign up here. Large Family Homeschooling ebook by Amy Roberts of Raising Arrows. Retails $7.99. 30% Commissions. Sign up here. The Ultimate Guide to Field Trips in Canada for Families, Students, and Teachers by Sharla Kostelyk. Retails $5.99. 40% Commissions. Sign up here. Dyslexia 101 by Maryanna Sunderland from Abundant Life. Earn 30% commissions on the book ($4.99-$9.99). Sign up HERE through eJunkie. If you are a classroom teacher and write about teaching in the classroom, here are some great affiliate programs for teachers inside the classroom! HP Instant Ink Program. Earn $15 for every new signup. Cookie length is 60 days. Available on ShareASale. ETA Hand2Mind. Math manipulatives and other supplies. 10% per sale and 30-day cookie. Join on ShareASale. Dollar Tree. Stock up on supplies like Ziplock bags, school supplies, and organizational bins. 5% commissions. 30-day cookie. Join on ShareASale. SeatSack. Offers over-the-chair organizational caddies and more. 10% commissions. 60-day cookie. Join on ShareASale. Oriental Trading Company. 5% commissions and 7-day cookie. More info here. Join on Impact Radius. Michaels. 3% on purchases and 3-day cookie. Join through CJ. Crayola. 3-5% commissions and 14-day cookie. Join through CJ. Carson-Dellosa Publishing. Online store for educators. 10% commissions on sales and 45-day cookie. Join through CJ. Discount School Supplies. 4% Commissions and 30-day cookie. Sign up on CJ. Staples. 1-5% Commissions. 1-day cookies. Sign up on CJ. Textbooks.com. 5% commissions and 30-day cookie. Sign up on CJ. OfficeSupply.com. 5% commission. 30-day cookie. Sign up on CJ. Newegg Business. 3% commission. 7-day cookie. Sign up on CJ. Nest Learning. 11% commissions. 30-day cookie. Sign up on CJ. Whether in a classroom or at home or for early education purposes, sensory products are very popular right now. Here are some great ones to promote. Sensory Bins: The What, the How, and the Why ebook by Sharla Kostelyk. Retails $2.99. 40% Commissions. Sign up here. Hands on as we grow – 50% commissions. Sign up! Sensory Bins ebook – 40% commissions. Sign up! Many parents (and grandparents) love gifting these to kids! They come every month with educational resources and activities already planned and ready to go for inside. Green Kid Crafts. My personal favorite. $20 commission on any new order. 60-day cookie. Sign up on ShareASale. Cricket Crate for ages 0-36 months. $20 commission and 30-day cookie. Sign up on Impact Radius. Kiwi Crate for ages 5-6. $20 commission and 30-day cookie. Sign up on Impact Radius. Koala Crate for ages 3-4. $20 commission and 30-day cookie. Sign up on Impact Radius. Doodle Crate for ages 9-16+. $20 commission and 30-day cookie. Sign up on Impact Radius. Tinker Crate for ages 9-16+. $20 commission and 30-day cookie. Sign up on Impact Radius. Groovy Lab in a Box. STEM box for ages 8+. $10 commissions. 90-day cookie. Sign up on ShareASale. Little Passports. Travel to a new country or state each month for ages 3-12. $15 per Sale. 90-day cookie. Sign up on ShareASale. The Magic School Bus Science Club Kit. Ages 5+. 10% commission. Sign up to promote them through Groupon. The Young Scientist Club. Ages 5-12. 5-10% commission and 45-day cookie. Sign up to promote them through Groupon. Junior Explorers. $18 per sale and 90-day cookie. Sign up on ShareASale. BitsBox. Teach kids to code. $4-12 commissions, 3.2% on shop orders. 30-day cookie. Sign up on Flex Offers. Bookroo. Children’s Book Subscription service for kids 0-5. 10% commission and 90-day cookie. Sign up on ShareASale. Marky Box. High-quality art activities designed by artists. $10/sale. On ShareASale. Another great thing to promote are websites that help with things like test prep courses, learning second languages, or developing other skills or talents. The Economist Test Prep. GMAT and GRE prep courses. 15% commissions. 30-day cookie. Join on CJ. DriversEd. Students complete online driver’s education so they are ready for behind-the-wheel training. 30% commission and 45-day cookie. Join on CJ. Rosetta Stone Language Programs. Help others learn a new language. 10% commission and 30-day cookie. Sign up on CJ. Craftsy. Adults, teens, and children can take online courses to learn creative skills and crafts. 75% commissions and 30-day cookie for first-time course buyers, 15% and 7-day cookie for existing customers. Sign up on ShareASale! Gentle Guitar offers online guitar lessons for kids ages 5-12. Earn a $50 commission for each new student who signs up. 180 day cookie. No minimum payout threshold, payments issued monthly via PayPal. Sign up HERE. Here are a few more programs that you may find to be a good fit for your website. HP Instant Ink Program. Earn $25 for every new signup. Cookie is 60 days. Available on ShareASale. Grammarly. 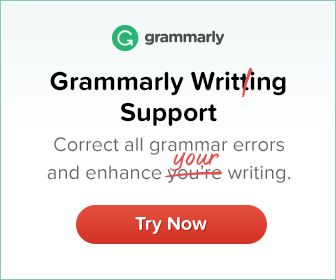 Grammarly is the world’s leading software that checks for spelling, grammar, and punctuation errors, enhances vocabulary usage, and suggests citations. $20 per sale, $0.20 per lead. Sign up on ShareASale. SimpleTuiton. $0.75 per every initial student loan search. Sign up on CJ. Swap.com. They carry secondhand educational learning toys, books, movies, puzzles, and more. $10 for new customers. 10% recurring customers. 45-day cookie. Sign up on CJ. Schoola. Second-hand clothes with a portion of sales going to schools. School fund-raiser. 10% commissions. 45-day cookies. Sign up on ShareASale. Mobicip App. Lets you block distractions when your kids are doing schoolwork online. 20% commission on each sale. Sign up HERE. Who doesn’t love a good educational app for a phone, tablet, or computer? You can link to many various free or paid apps (and movies) on iTunes (they have an affiliate program that offers 2.5% for all app and in-app content and 7% commissions on music, movies, books, and TV, and 50% commissions on memberships) or on Amazon Associates (for Android versions). Amazon currently offers 5% fixed commissions on digital music and movie downloads, 10% on digital video games. The commissions may not be super high on a $5.99 app download, but it can add up if you sell a lot of downloads. Also, when linking to Amazon, you can make commissions on anything else they put in their cart and buy within 24-hours after clicking your affiliate link! I wrote a post about some top educational apps on my other website to give you some ideas. Amazon also offers a flat $3 commission for getting people to download the Kindle Reading App as well as for people trying the Kindle Unlimited Free Trial, and a $3 flat fee for everyone who signs up for a 30-Day Audible Free Trial Membership. Scribd – It’s like Netflix for ebooks and audiobooks! Low monthly fee for unlimited ebooks and audiobooks. Free 30-day trial only $8.99/month after. $15 commission per sign up. Sign up here. Cozi – The #1 family organizing app. Free to download and use. $1.50 commission per every signup. Join via ShareASale. Want more on affiliate marketing? Join my blogger Facebook group and watch our exclusive live video all about affiliate marketing, check out great affiliate networks to join, check out 3 simple tips for doing better with affiliate marketing, and check out my list of affiliate programs for marriage and relationship bloggers! Very comprehensive list and exactly what I was looking for. Thank you for compiling this! Also, The Jubilee Academy and The MorningStar Academy pay 10% with tuitions between $1200.00 and $2900.00. Very successful way to monetize your blog. Christian online Homeschooling Academies since 2001. The largest and the best!